A classic cocktail leads us into the blustery month of November. The leaves are falling, the sweaters are coming out of storage, and it's about to get a whole lot darker much earlier thanks to the changing clock this weekend. I can't think of a better reason to open up a bottle of Cognac and settle in next to a roaring fire. 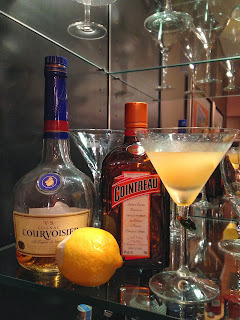 The Sidecar is a cocktail that comes to us by way of either London or Paris in the 1920s, depending on which mythology you'd like to believe. After our trip to Quebec last weekend I'm all about the French so my vote goes to Paris as the birthplace. As with last weeks Boulevardier, we have another expat American to thank for the idea. Legend has it an American Army captain used to catch a ride to Harry's Bar in a motorcycle sidecar, and this is what he would drink to shake off the chilly Parisian night air. It's a lovely story, but there are as many tales to tell about the origins as there are formulas for making it. 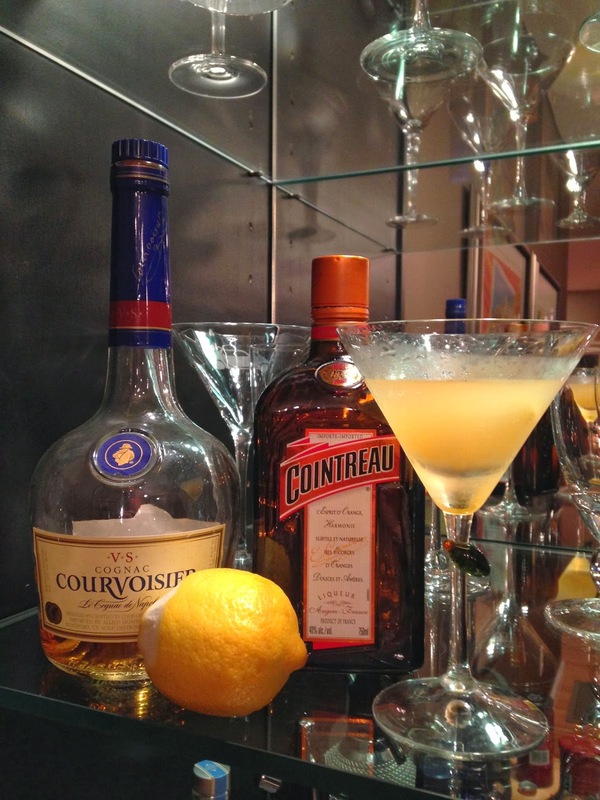 The classic recipe is equal parts Cognac, triple sec, and lemon juice. Mr. C&G changed it up a bit and this lets the warmth of the Cognac come through. Bundle up and enjoy!